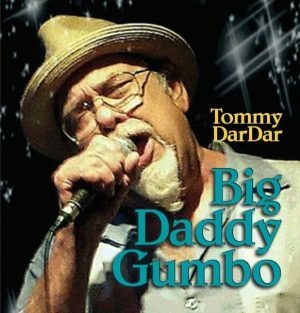 Louisville, Kentucky – The river port city known for its time-honored craftsmanship, decadent celebrations, and storied past — is home to Laurie Jane and The 45s. 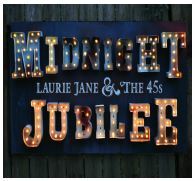 „Midnight Jubilee,“ the band’s latest release on Down in the Alley Records, channels the diverse spirit of their hometown across a broad soundscape of country-soul, rhythm and blues, and rockabilly. Laurie Jane’s vocals are tempered with a sincerity and restraint seldom heard in modern music. They play counterpoint to her vibrant band who at times push their vintage instruments to their breaking point to wring out the last drop of heart and soul. 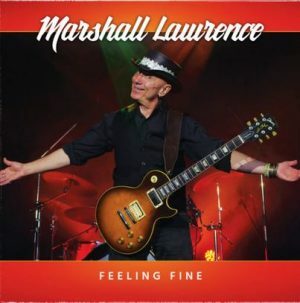 As Susan O’Neil of Louisville Music News put it, “Laurie has a lovely classic, clear voice that comes across the airwaves, strong and true to the style of the music she sings. Her sweet voice, her easy style and her graceful presence could easily fit into the era where vocalists really sang, conscious of tone and feel.